The Black Tongue is a weird book. While Goodreads lists it as “horror/suspense/mystery”, and it does have elements similar to the Nordic crime novels I so love, it doesn’t fit neatly into a genre box. It has some elements of horror, and at times feels similar to the unreality of Night Film (an excellent book, by the way) or the TV show Fringe. In a way I think a good subgenre for this book would be “disquiet”, because many pieces of the book are not so out-and-out horrifying as they are deeply unsettling. This is largely due to Hautala’s gift for invoking a sense of atmosphere. You can smell the sea and envision the creepy old house where Maisa experiences her terror. The story jumps around through three different time periods and multiple characters, but the underlying sense that something is not quite right is pervasive, running like a wrong thread through the background of these POVs. It’s a very tightly written novel that’s very hard to put down. As I read it I constantly thought of what a dark, dramatic movie it would make, with some excellent cinematography and lighting to bring out the creepier scenes in the book. What lessened my enjoyment of this book was the simple fact that it ended with very little resolution for the characters, and to be honest, I’m not entirely sure what the story was supposed to mean. It begins with an urban legend—Granny Hatchet, the boogeyman of this small Finnish town by the sea—but spools off in other directions, teasing with other elements that may or may not tie into the legend. I suppose you could say that Granny, like the legend of the Loch Ness Monster (referenced in the book), is created as a way to scare the local residents into silence. Or perhaps she’s the result of rumors and gossip surrounding a mentally ill old woman, and after so many years she’s just a convenient cover that someone else is using for their own purposes. Or perhaps Hautala is trying to say something else entirely: his story has echoes of the Brothers Grimm—famous for imparting moral lessons through their stories—and perhaps here the moral behind Granny Hatchet is: don’t ask questions, don’t seek answers, just keep your head down and follow the established routine. The older generation is trying to prevent too much change in the younger generation, even as they fail: communism falls out of fashion, leaving people like Samuel’s dad without a crutch, and new floods of immigrants to the country bring with them new ways and new ideas. But these are all just ideas, because honestly, I’m not really sure what to make of the book. On top of the diverging story lines, it’s not always clear if the characters involved are entirely mentally present, or if they’re experiencing psychological breakdowns that lead to hallucinations, paranoia and other disconnects from reality. Is it possible Granny Hatchet really exists, and the novel is a sort of magical realism turned dark? Or are the characters taking the urban legend a little too far? Overall, this was a great book, very dark and spooky—I just wish it had a more conclusive ending. I know sometimes art is supposed to provoke questions, not provide answers, and this book definitely gets stuck in your head for days on end. Maybe later on I’ll have an epiphany and decode the message within. In the meantime, I still enjoyed it, even if it felt a little murky at times; but if you enjoy a more clear-cut horror story, you’ll probably be left frustrated at the end as you try to decipher what it all means. The Black Tongue, by Marko Hautala (2014, 323 pages). Horror, crime, suspense, thriller, mystery. Four out of five stars. 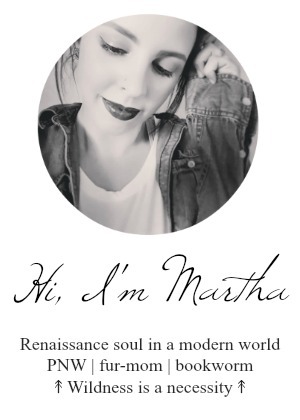 Find it on Goodreads and remember to follow me while you’re there! Enjoy disquieting horror stories? Check out In the House in the Dark of the Woods, by Laird Hunt (review here). 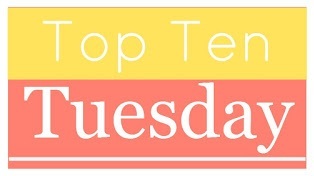 This week on Top Ten Tuesday (hosted by The Broke and the Bookish) we’re discussing the good ol’ TBR pile…that is, the burgeoning list of to-be-read books that grows and grows and just never seems to shrink, no matter how fast or how furiously I read. We Have Always Lived in the Castle, by Shirley Jackson; Sister, by Rosamund Lupton; and Tell the Wolves I’m Home, by Carol Rifka Brunt. These were some recommended picks by Valerie Geary, author of Crooked River, which I finished this month. All sound very intriguing. Darcy’s Tale, by Michael Stanley Hurd. Actually a three-book series in one volume. Added this solely because I’m so nutty for Pride and Prejudice. Death Note, by Tsugumi Ohba. I admit I added this for the title and premise alone. It sounds so intriguing! Also, I’d like to continue expanding my genre reading and Manga is something I haven’t explored yet. Incarnate, by Jodi Meadows. This book sounds like it could be really cool or really sucky, but it has such a pretty cover, I couldn’t resist. The Werewolf of Bamberg, by Oliver Potzsch. I can’t remember how I first heard of this, but I love that it’s a German book combining historical fiction, murder, and the occult. Now You See Me, by Emma Haughton. Because I can’t resist a good psychological thriller! This is a Book, by Demetri Martin. My fave comedian of all time. How could I not want to read this book?! By the way, if you have an hour, listen to his routine below. (There’s no video, just audio.) I listen to this when I need a pick-me-up. White Oleander, by Janet Fitch. This book has popped up in my feed on and off over the years and I finally added it to my TBR. I’ve heard a lot of praise for it and it sounds like it might be really lyrical and beautiful to read. So what books have you recently added to your TBR pile? Anything you think I should read? Let me know in the comments!